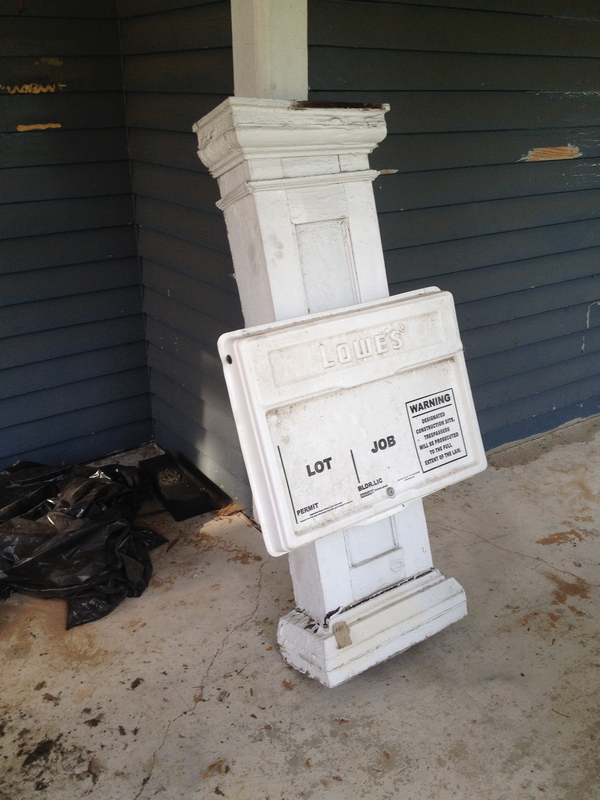 More Siding | A covey of Covis! 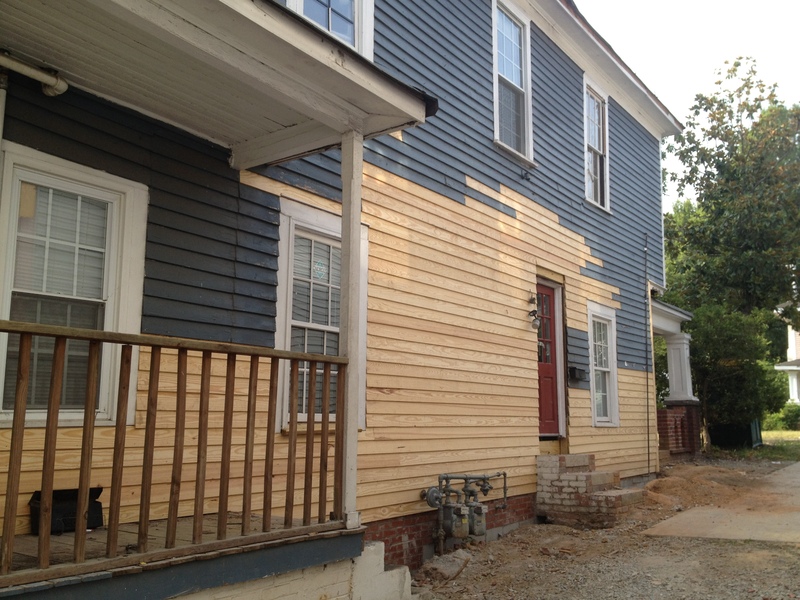 More new siding! 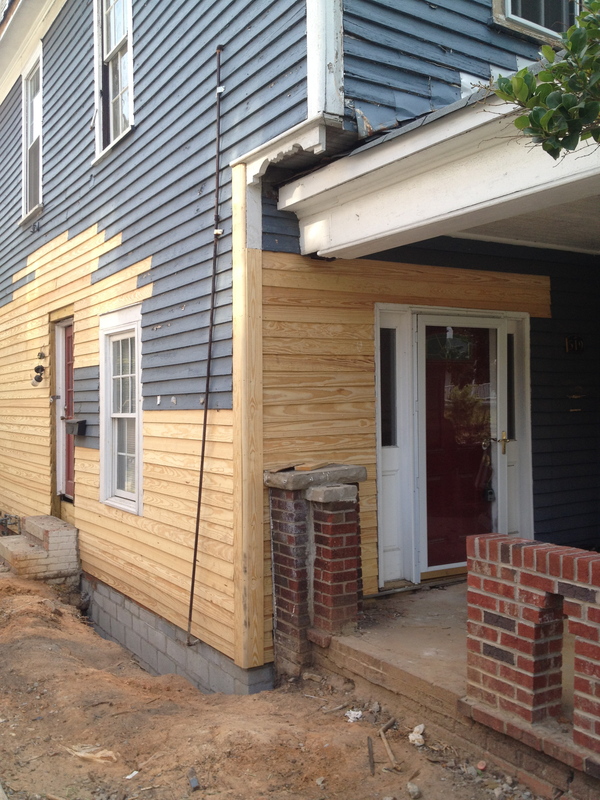 They’re still not quite finished because they ran out of siding, but they’re very very close! I’m note sure how they’re going to fix this guy, since when they raised the house he was suddenly too short to reach the porch. 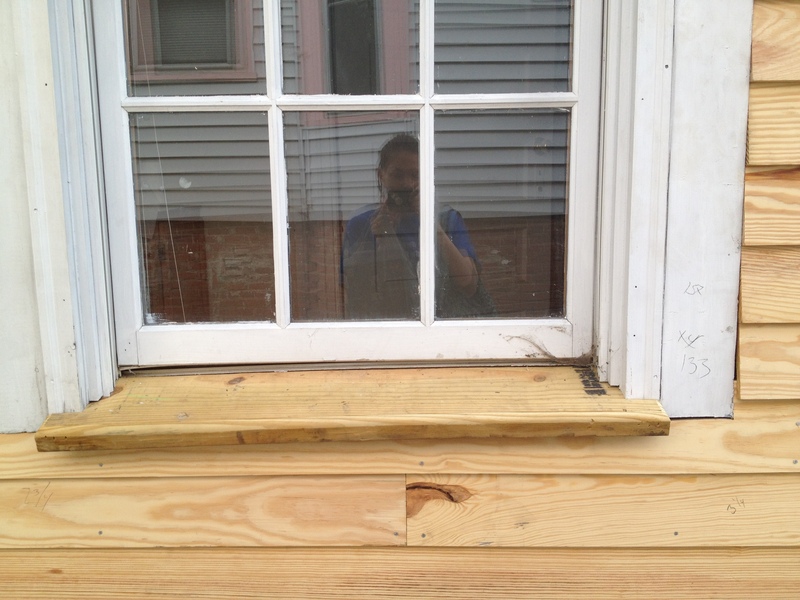 This window sill was completely rotten and had to be replaced.